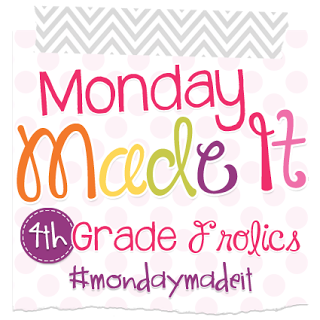 It’s time for “Monday Made It” with Tara over at 4th Grade Frolics so I thought I’d share a little bit about what I did this past week. Make sure to click the image above to take you to a bunch of other great ideas! 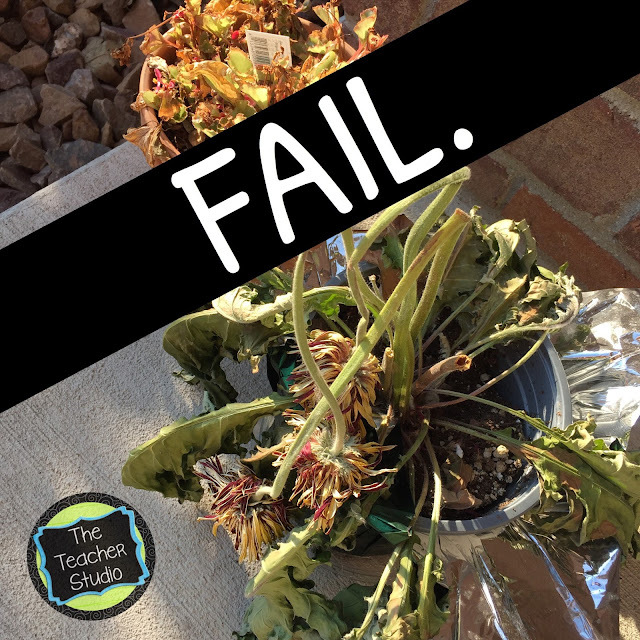 Last week I showed you some pics of my son’s graduation gift…what I didn’t show you was the front step of our house (a door we RARELY use…that’s my excuse) where I neglected to notice that the the flowers I planted were a little…ummmm…”unwelcoming”? Totally a “made it” fail. How embarrassing. I am trying to reduce clutter at my house this summer and my bathroom drawers were a hot mess. 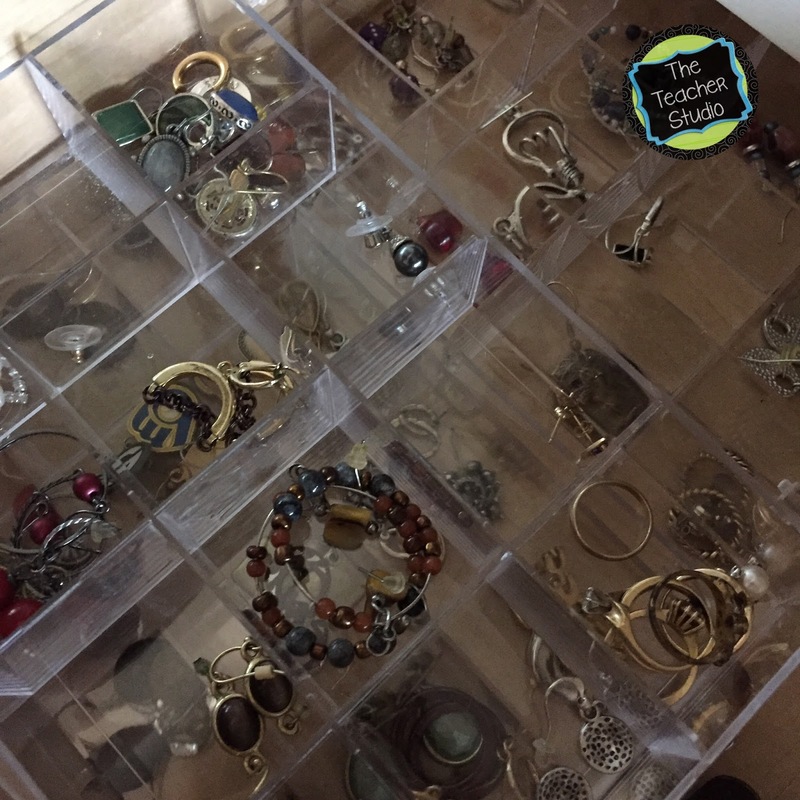 I found a few craft containers meant for beads, snapped the lids off, and put one or two pair of earrings in each spot. I have three of the trays in a drawer and I now can easily see what I have and where the pairs are! It didn’t take long, but it made a big difference! What’s a Monday Made It without food? I have to say…my son LOVES banana pecan muffins–but I just don’t seem to be able to coordinate having both overripe bananas and buttermilk in the house at the same time. 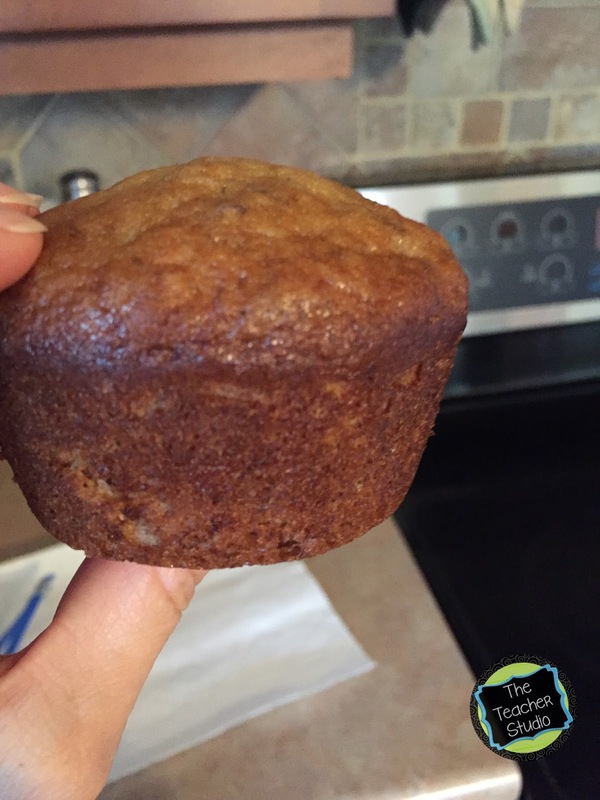 When the stars align, we get jumbo muffins. The stars aligned–much to Max’s delight. I have a big goal this summer–and that’s to convert some of my favorite resources into Google compatible resources now that my classroom is 1:1 with Chromebooks. 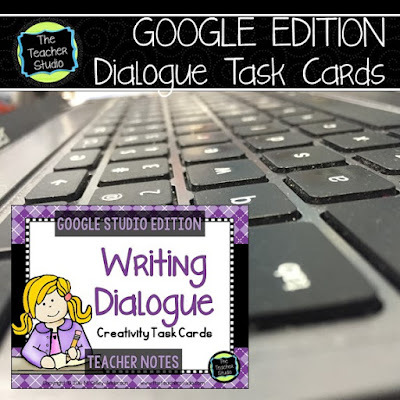 This week I took my “Writing Task Cards: Creativity Task Cards” resource that I LOVED using last year and made some changes to make them work with Google. I love being able to cut and paste and “send” a few cards at a time to my students! 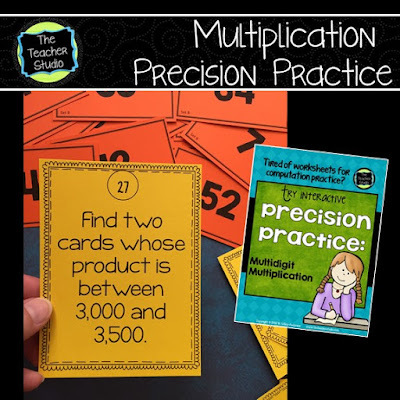 This year I am going to project cards on the Smartboard to use to teach and model–and then when it’s time to practice, I’ll send my students a few cards to try. Like with the original cards, I plan to have the students start working in pairs, doing lots of sharing, and then, finally, try some individually. 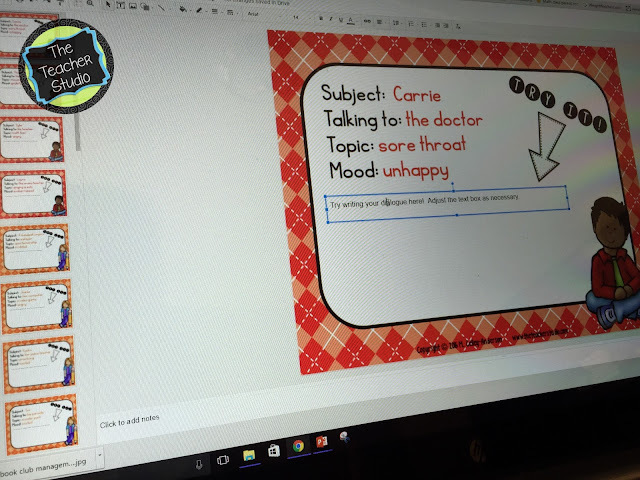 Anyhoo…I am still learning how to get more efficient at making these digital resources, but I know I need to get creative so I can really maximize those Chromebooks next year! I was pretty productive this week and got both the dialogue resource done AND my “unworksheet” precision practice resource for multiplication. I even blogged about it HERE if you are interested! Hope everyone has a great week and thanks, as always, to Tara for the great link up! Stay tuned for some up and coming math posts to get your wheels turning!